Happy Sunday! I love the sunlight pouring into the lake in this photo. I didn't see the light when I took the picture, but noticed it when I later looked at the photo better. God works in our lives like this-- even when we cannot see it or feel it. God is FOR us, always! He is constantly working in our circumstances and he wants what is best for us. 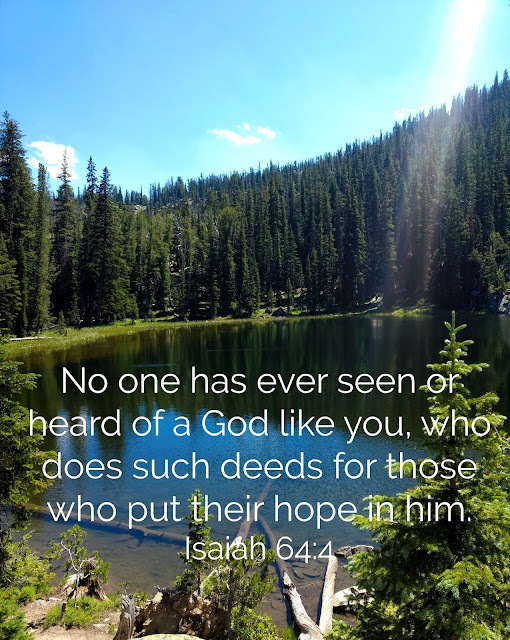 Trust and put your hope in knowing that God is pouring his love into us and always acting for our benefit.